Agreed - back home I think it's $20...and obviously easier when you can mix numbers and letters. I presume you are in the UK then? Dude! I still think of you when I see a black G35 with scraped wheels! Still driving my '95 993 in Honolulu. I am from Luxemburg. Same name here as on the gtr.co.uk. White BCNR33 V-spec. My plate was only my 4th choice that got granted all the others were taken (probably not by Gtr owners). Nice! I love your 33! i have a silver 25t. 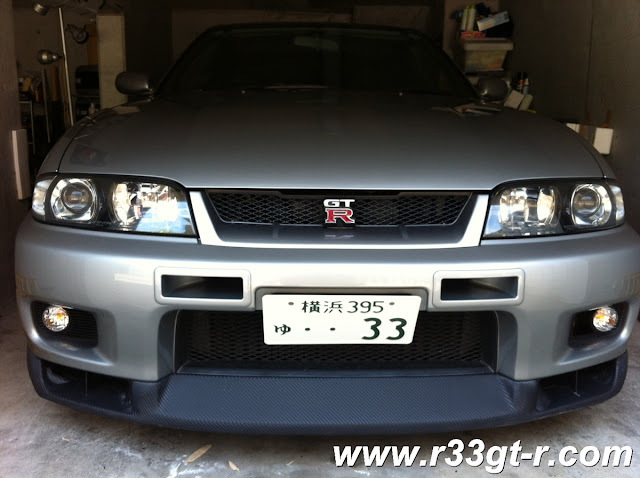 wish i could upgrade to a GT-R but alas i can't afford one (certainly not when i'm trying to save for my first home) i was recently debating whether or not to either spend abit of money on my car for around 250Kw atw or to sell it and use the money (plus the upgrade money) and get a R33 GT-R. Unfortunately the laws here in Victoria Australia make selling a modified car quite a hassle plus it's really a 'buyers market' out there for old skylines (GT-R's included) i can't bare to part with mine for less than a good price so guess i'm just gonna have to keep it and dream about having a GT-R one day. Love your blog. can't find much enthusiasm for 33's and i have to admit i wasn't much into them myself but now i have had two (first was a really sweet and quick gts25) i really like the 33. The 25t is a great car in itself - in fact all of the R33 coupes were, despite having to share various components with other Nissan cars of the time. So it's up to us as owners who appreciate our cars, to show the world how good these cars really are!